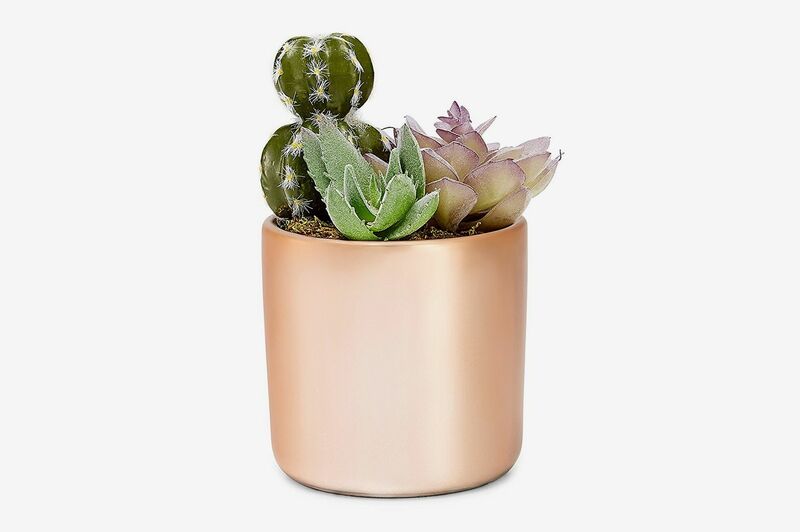 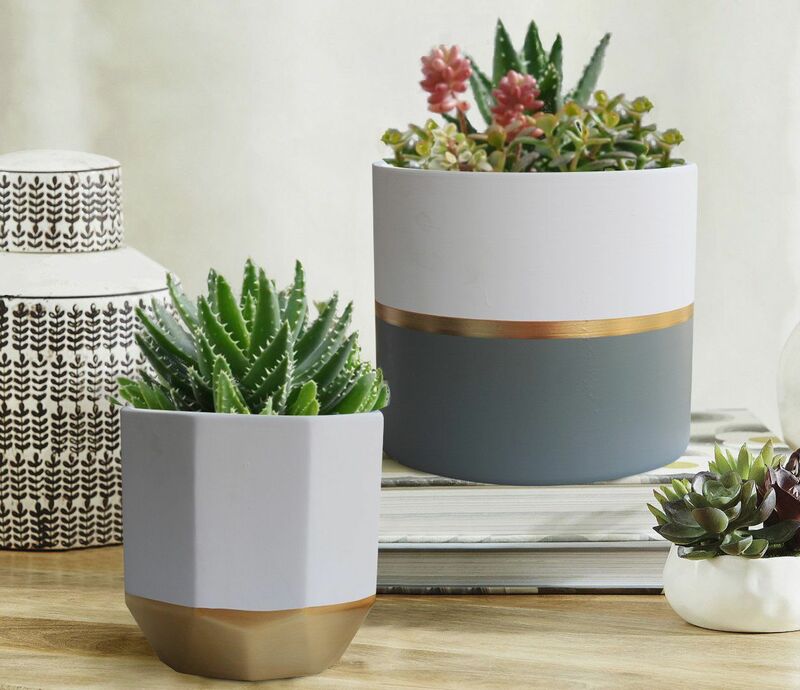 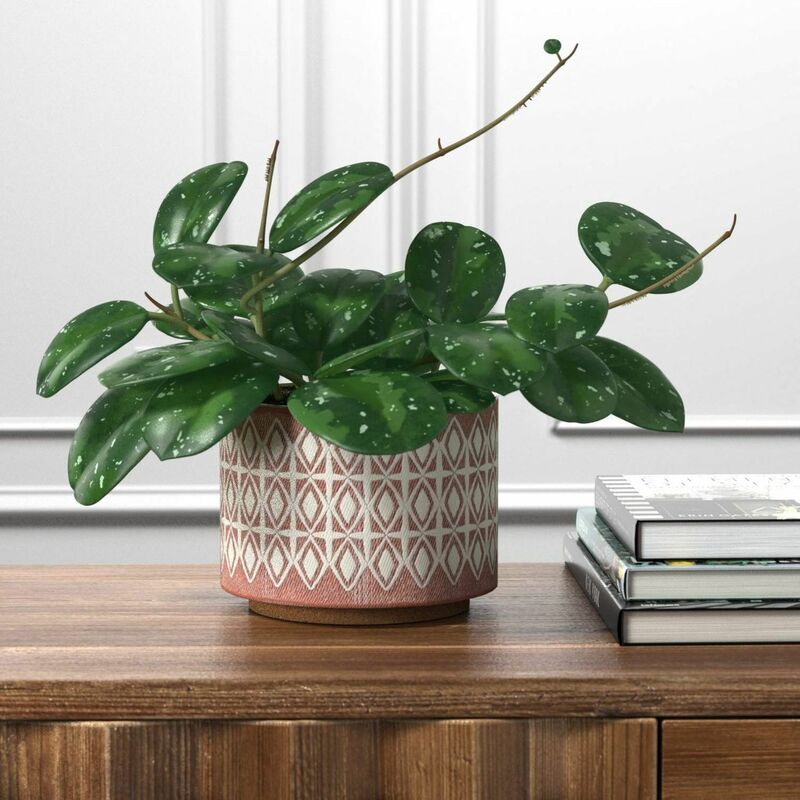 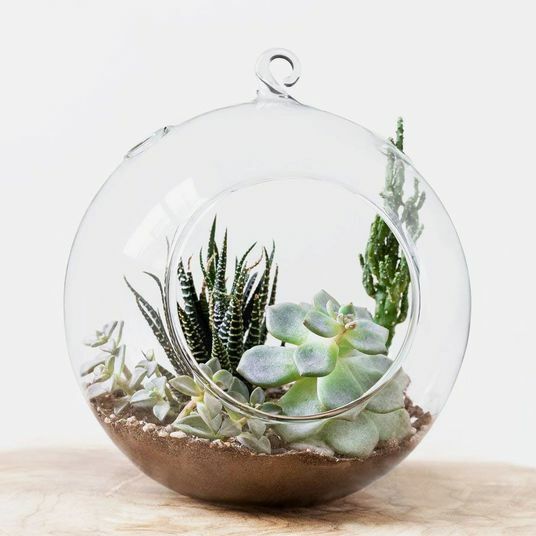 A succulent in a rose-gold pot may be predictably millennial, but this metallic pot beautifully brings out the warm colors of the notoriously low-maintenance starter plant. 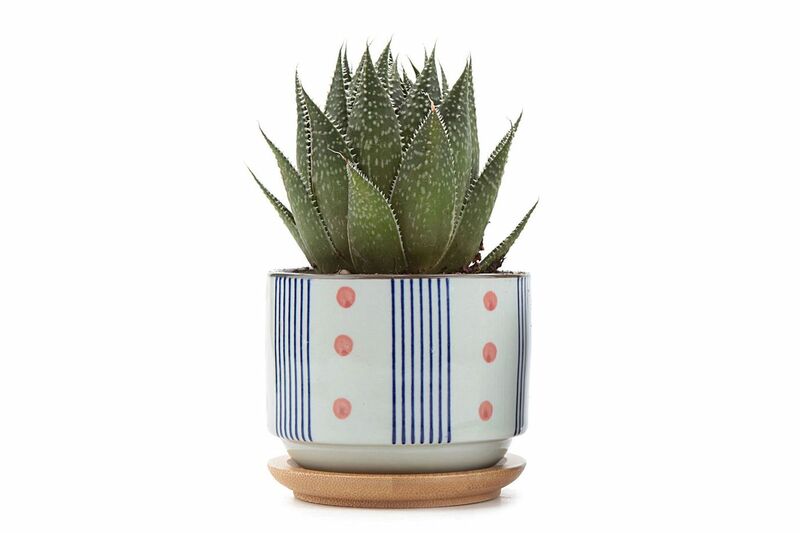 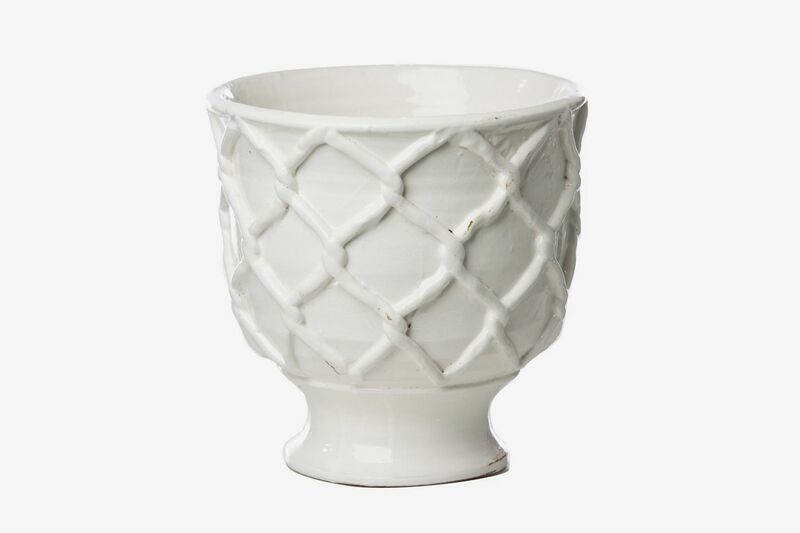 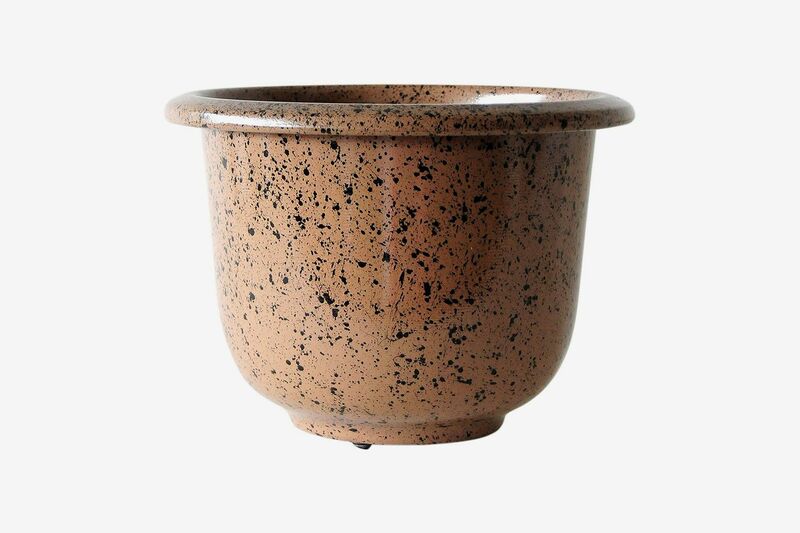 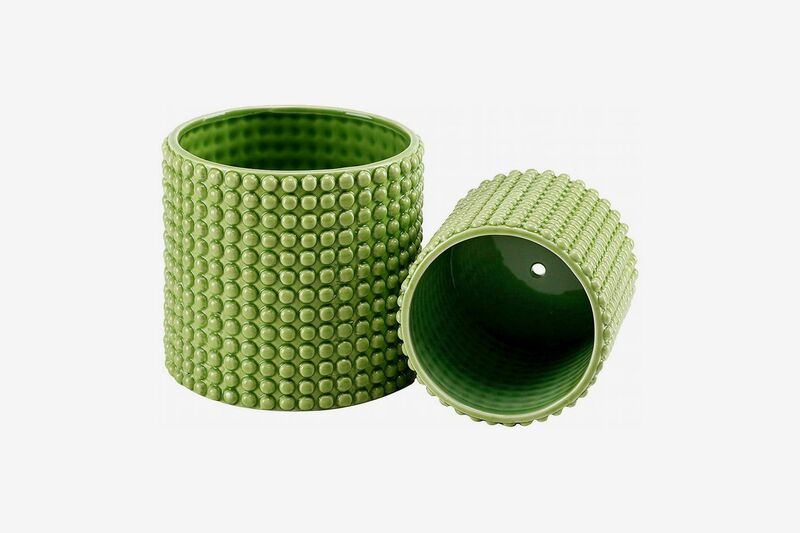 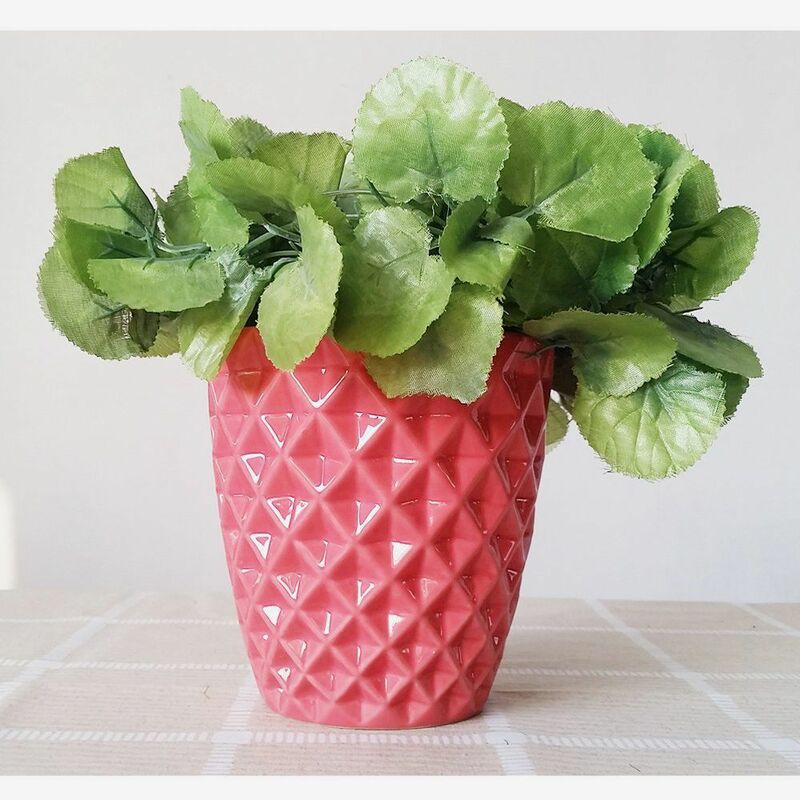 The muted rose color and textured geometric print give this planter an almost-handmade look. 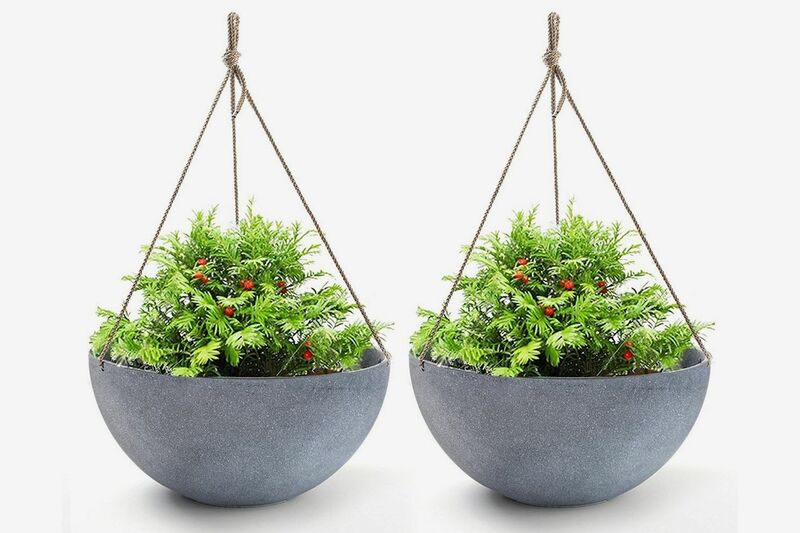 Another plant hanger from Mkono. 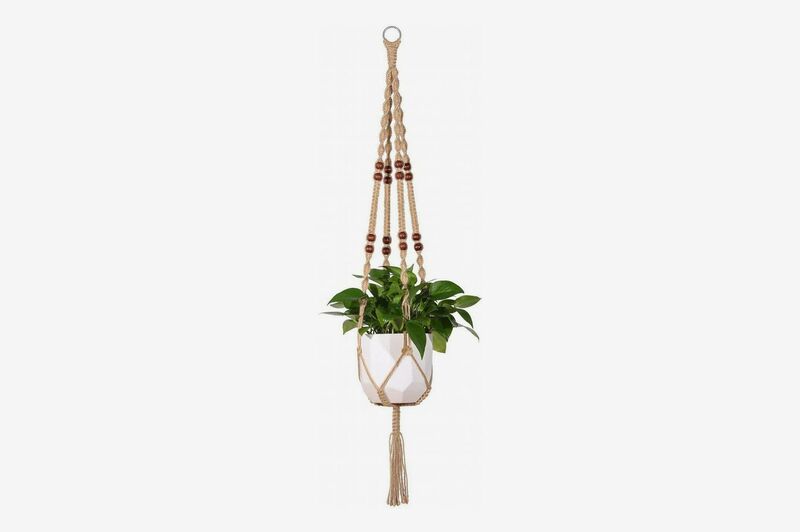 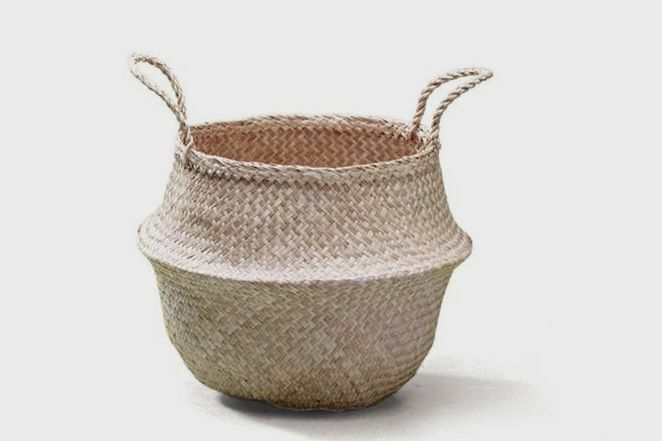 This one, made from jute rope with wooden beads, has more of a hippie feel. 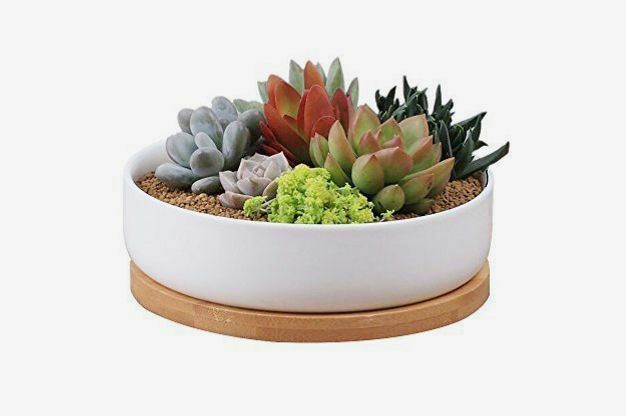 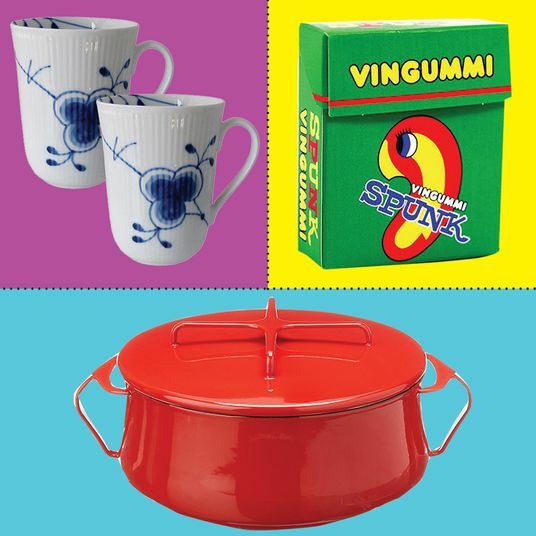 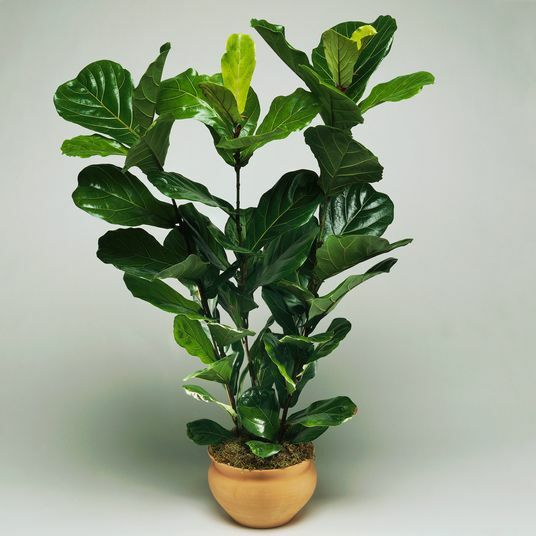 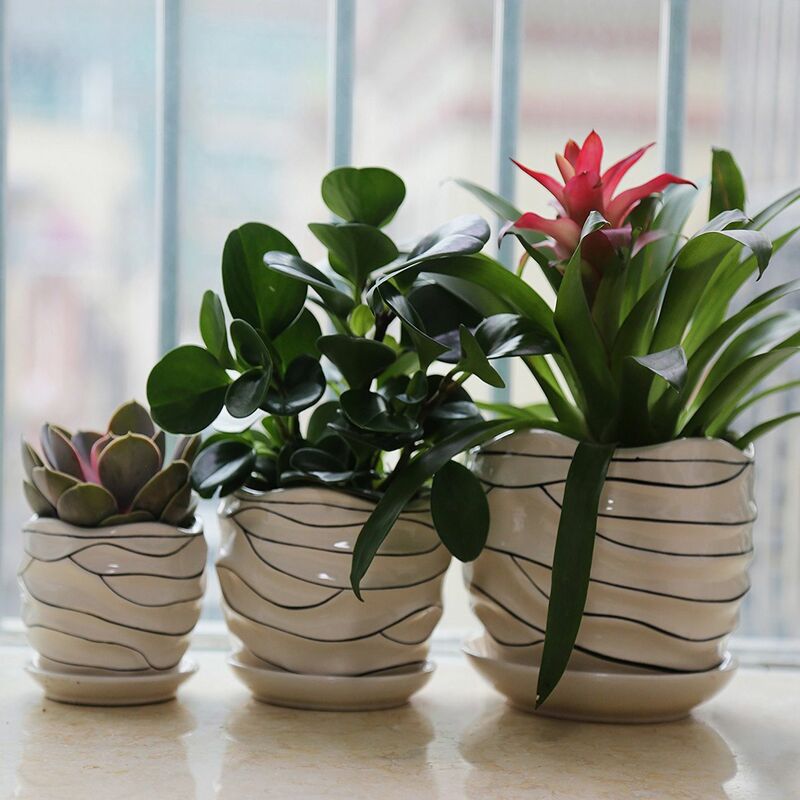 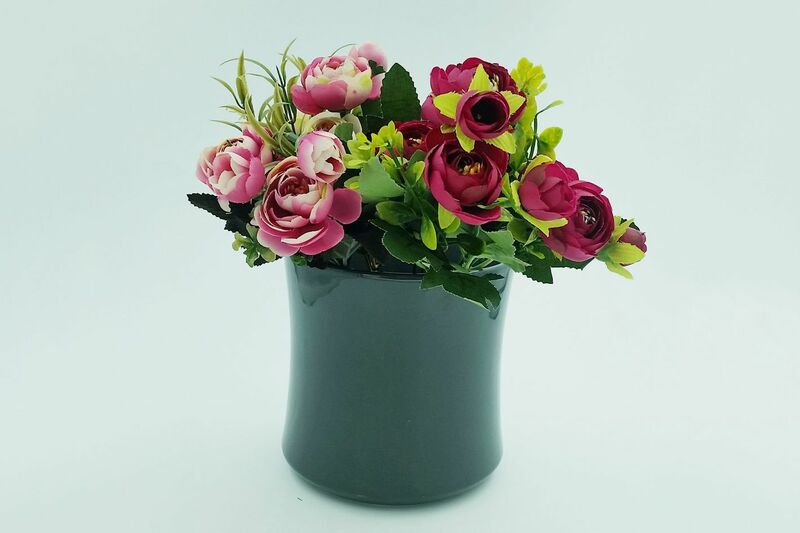 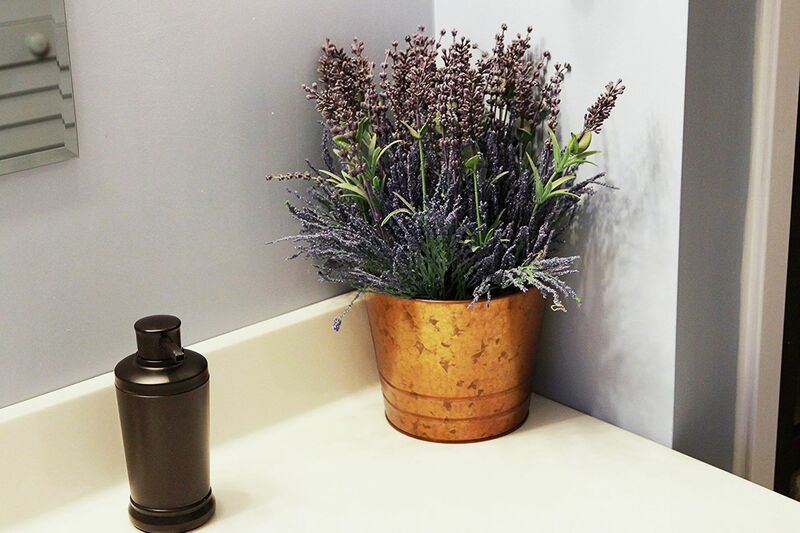 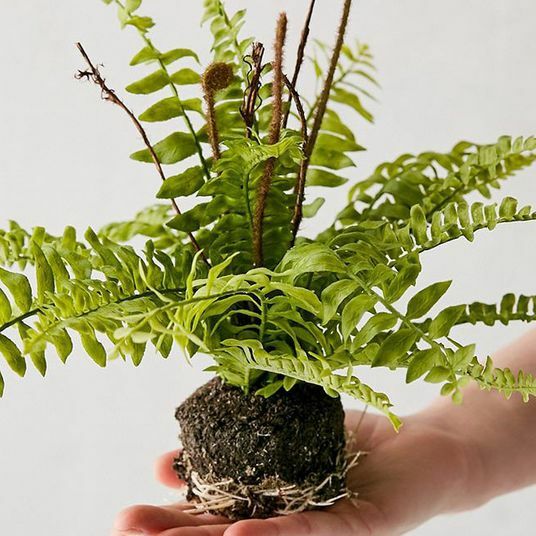 Swap in any pot to customize the look. 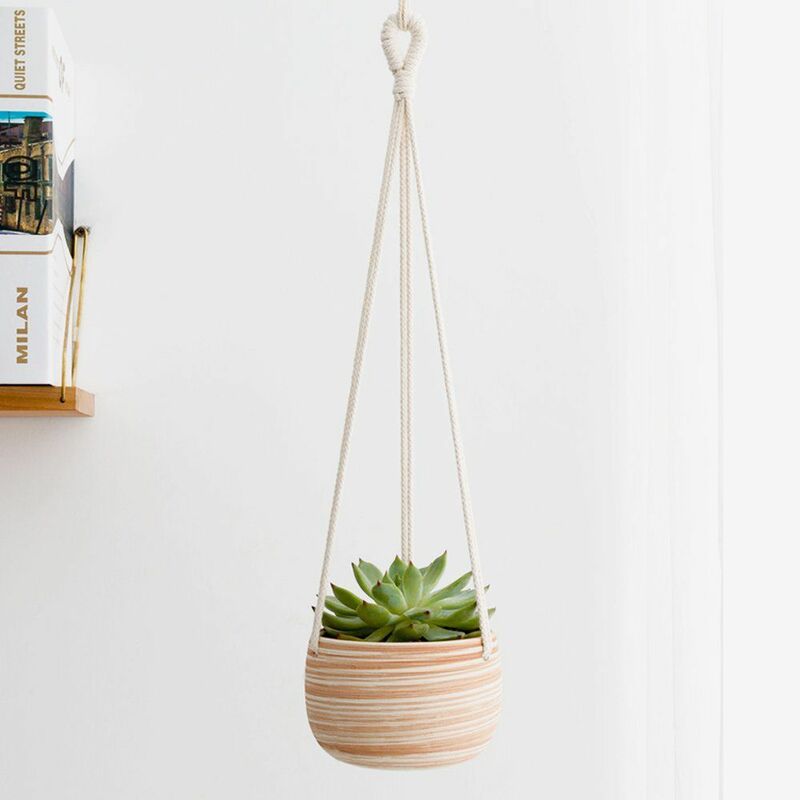 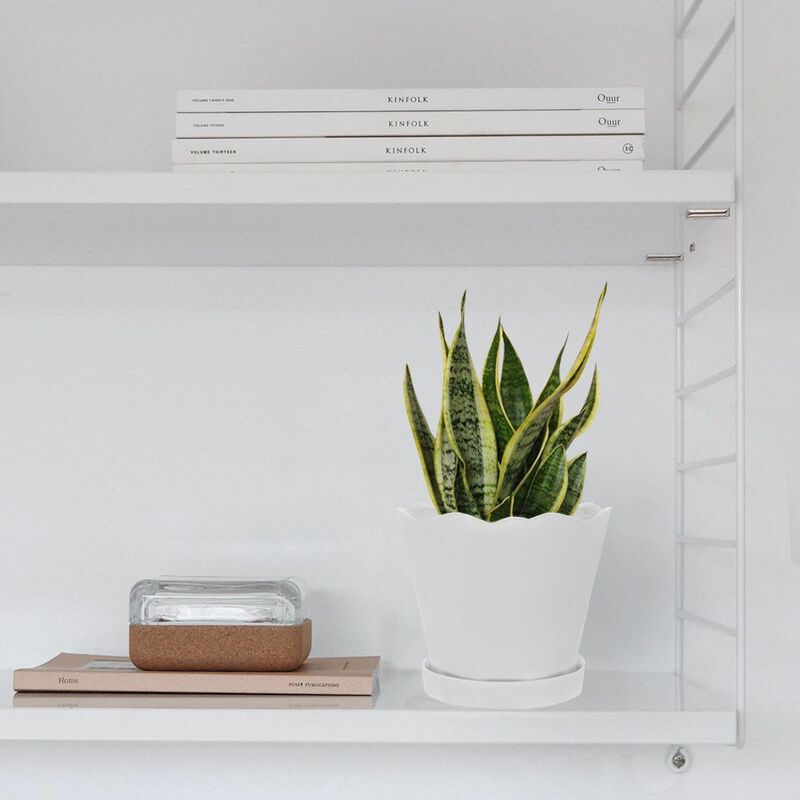 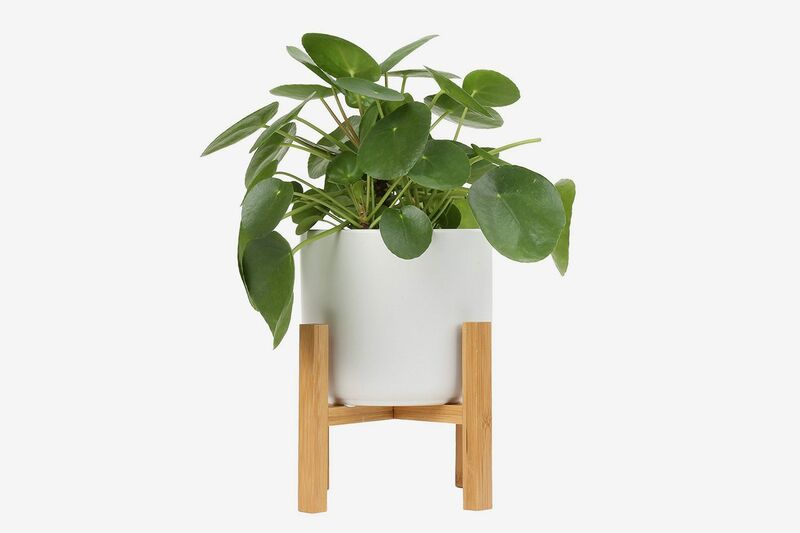 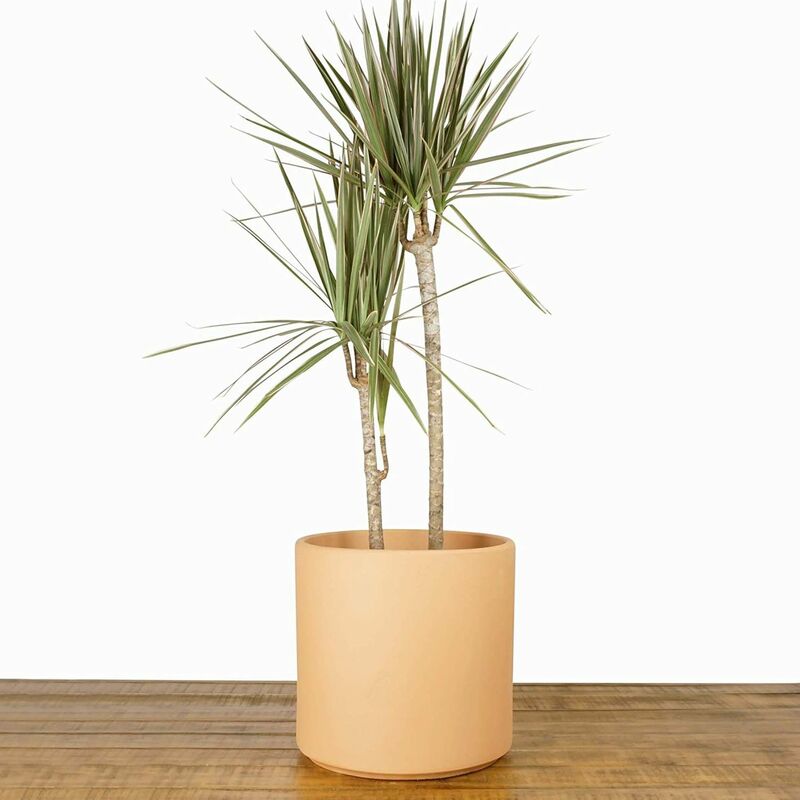 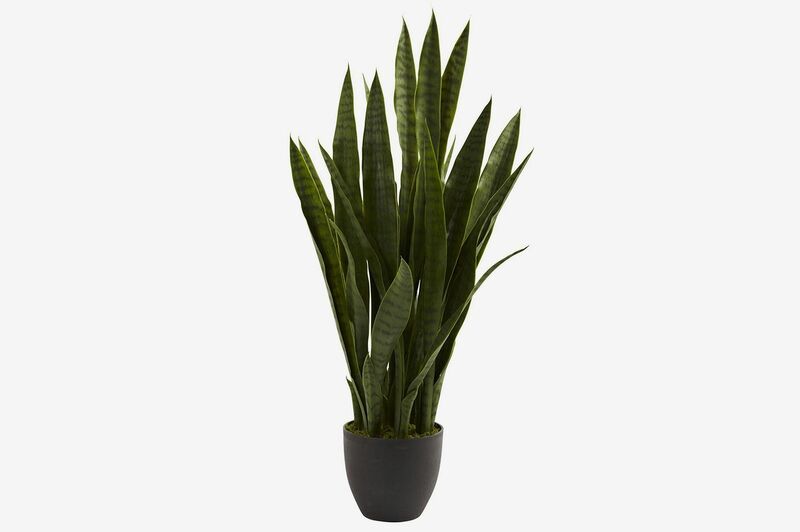 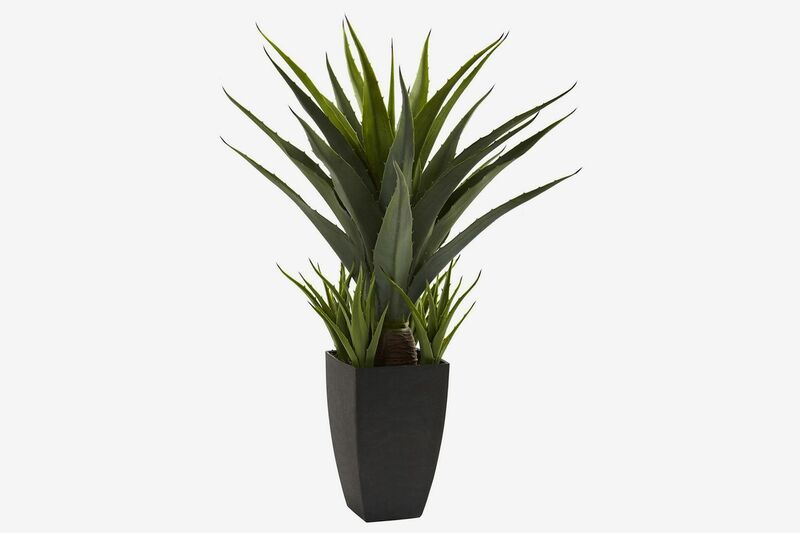 A simple, clean, modern planter in a Yeezy Season 2-approved color palette. 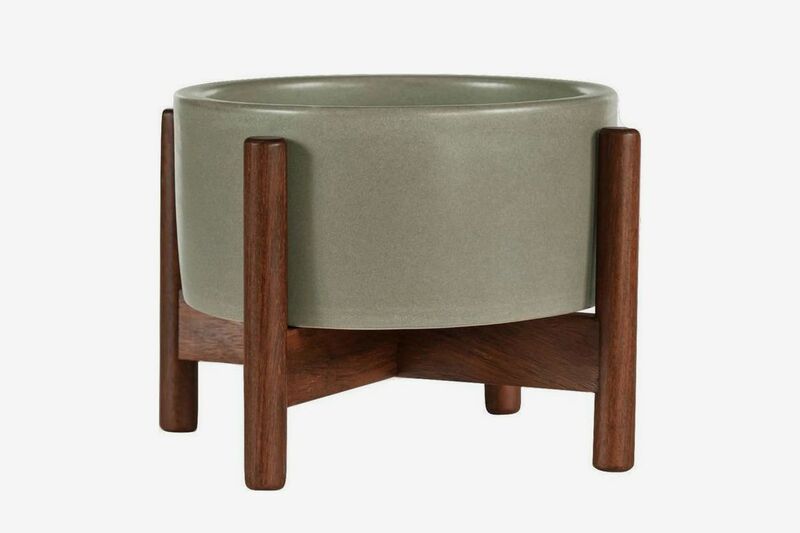 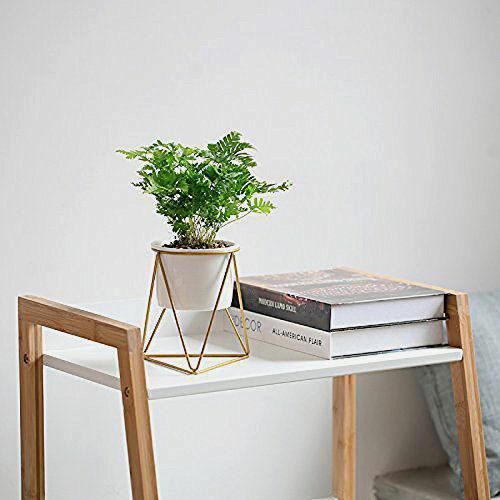 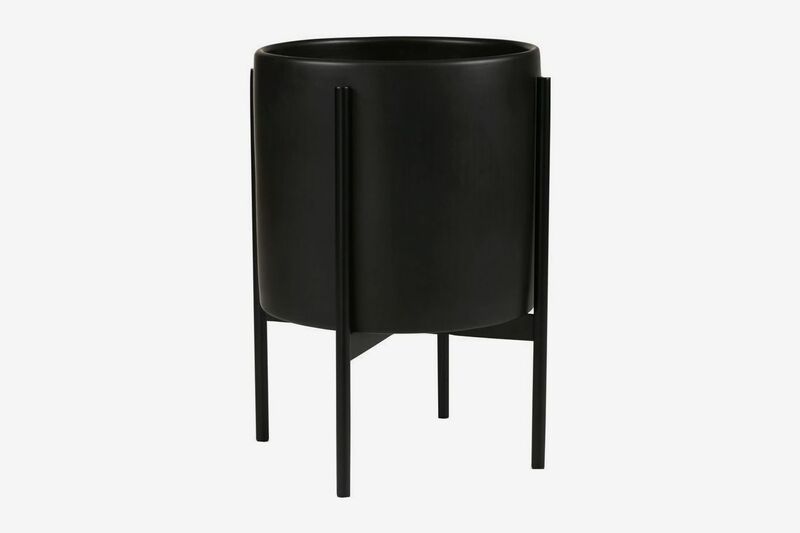 Another nice planter/stand combo that comes in a few different colors. 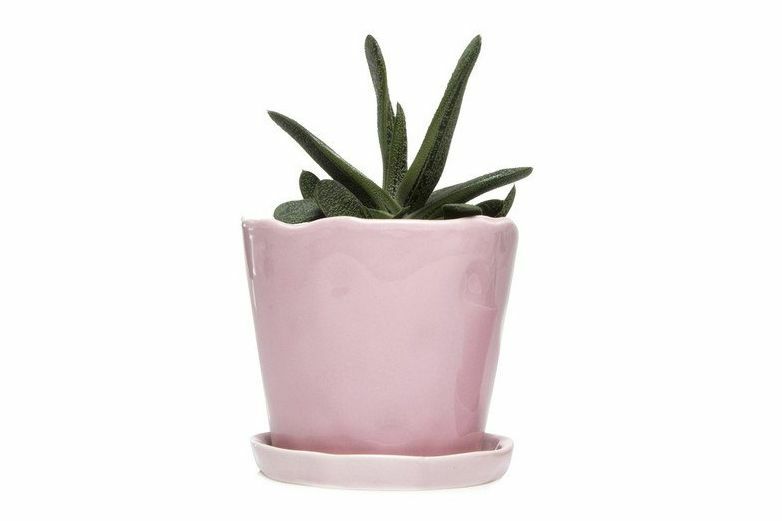 This pinkish-red option has a Southwestern feel and would be a good home for desert-dwelling cacti and succulents. 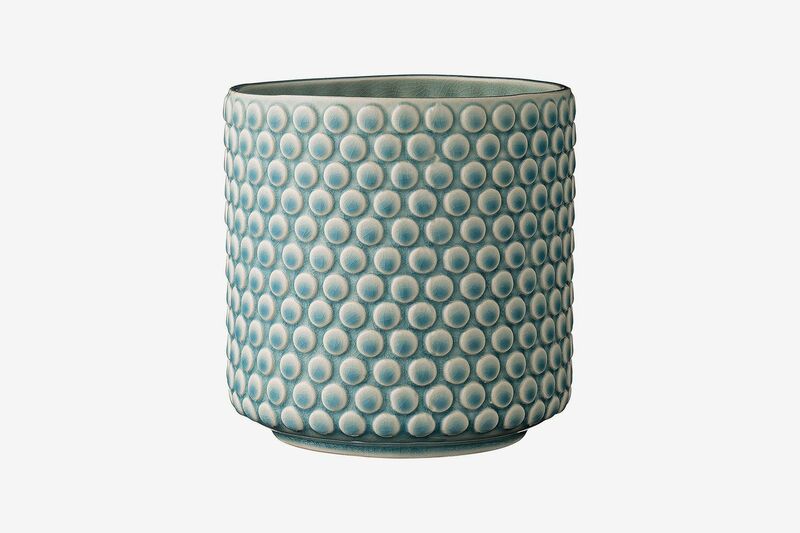 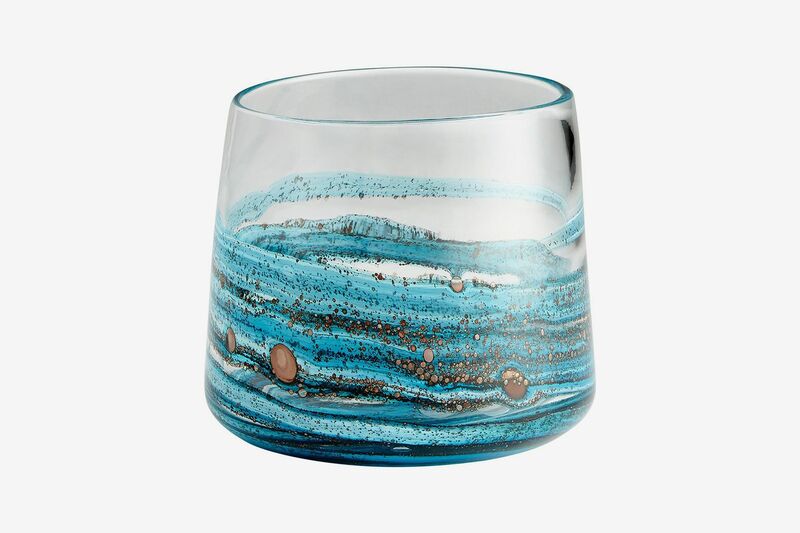 Turquoise-swirled glass with golden flecks, this vase is worth displaying on its own — or with a hydrangea shrub in a complimentary shade of blue. 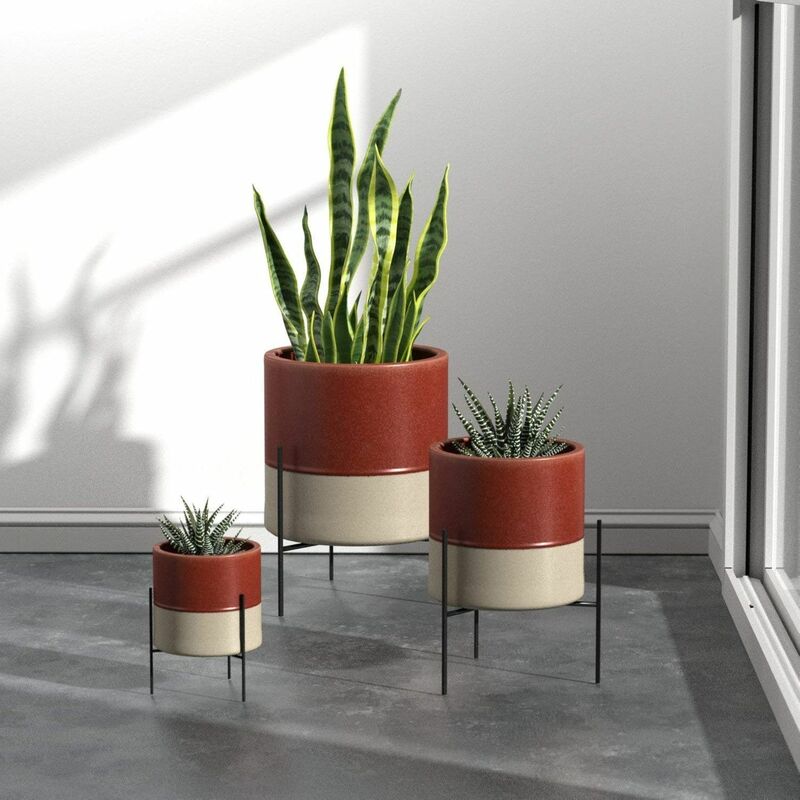 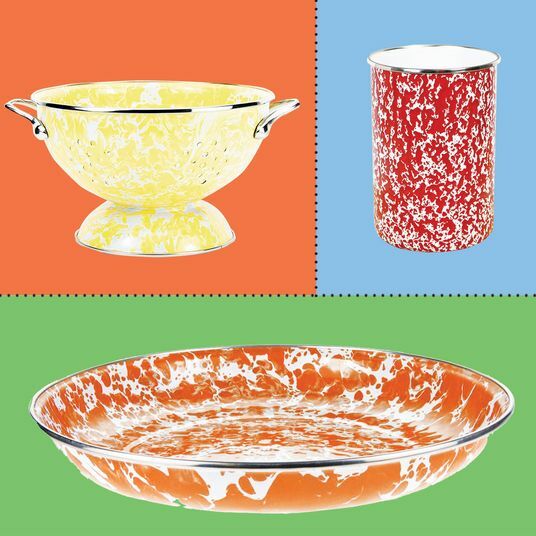 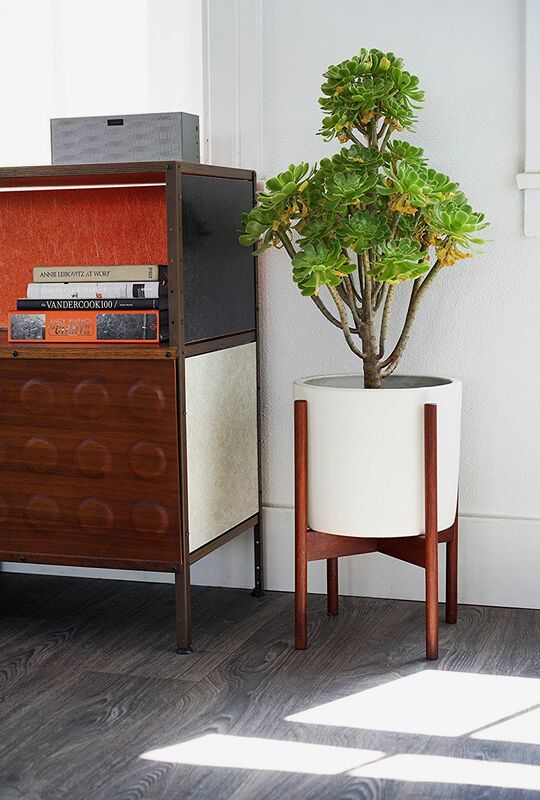 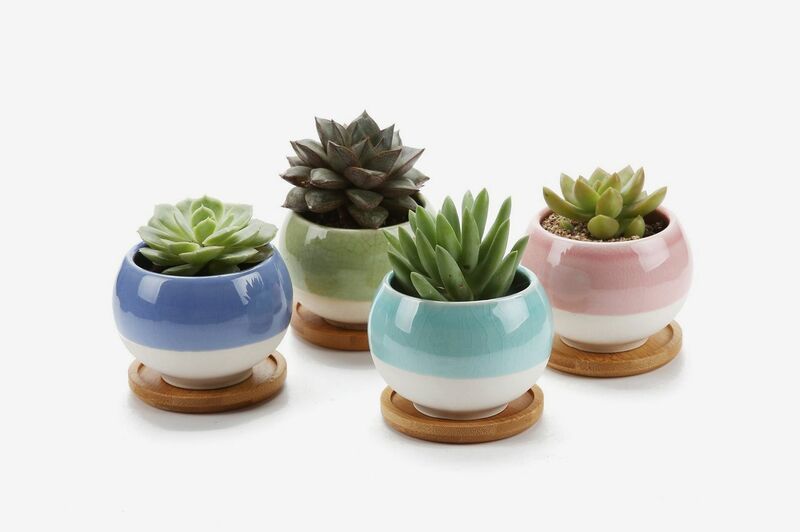 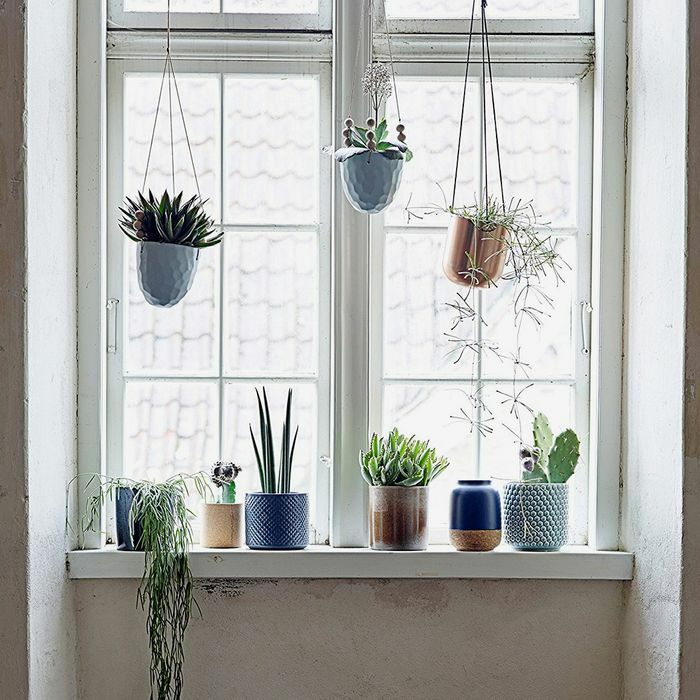 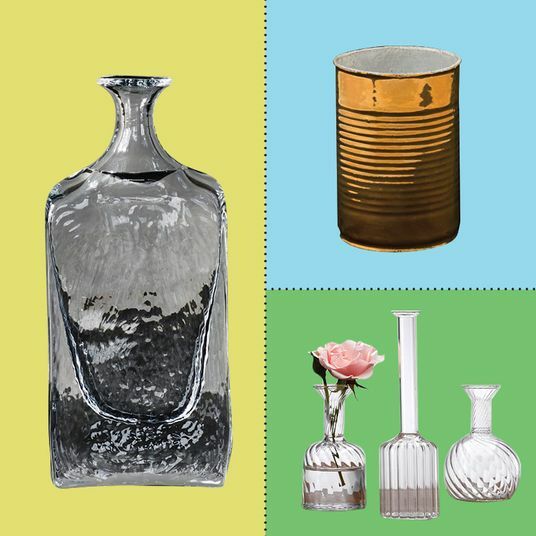 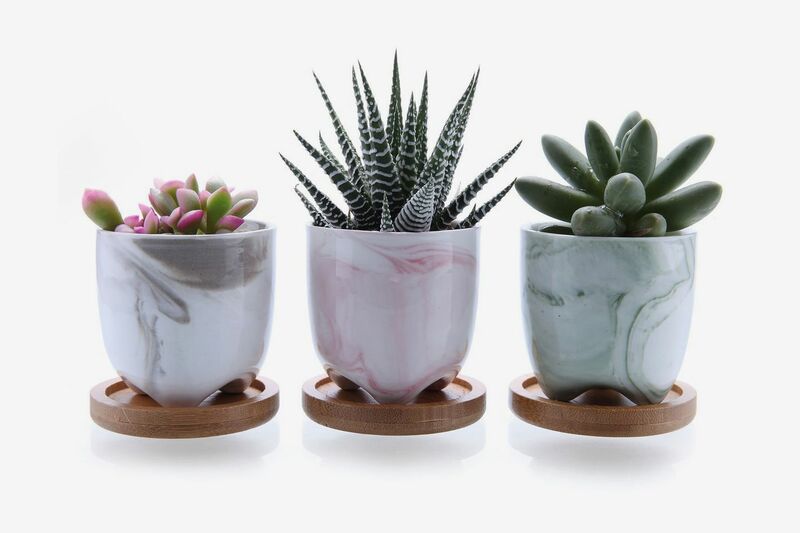 These vintage-inspired planters look like something you might find at a yard sale. 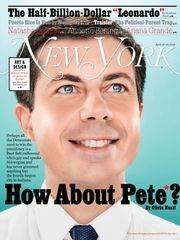 But in a good way. 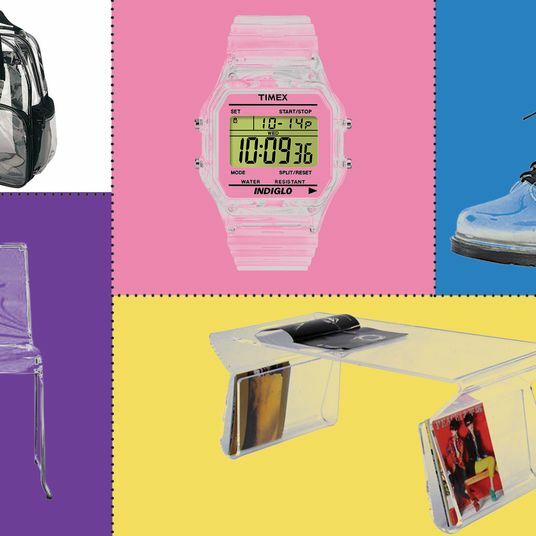 They also come in white and yellow. 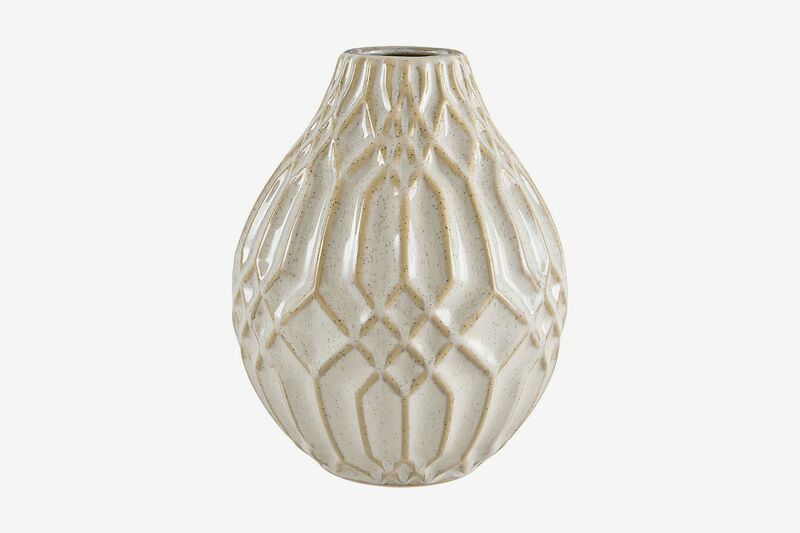 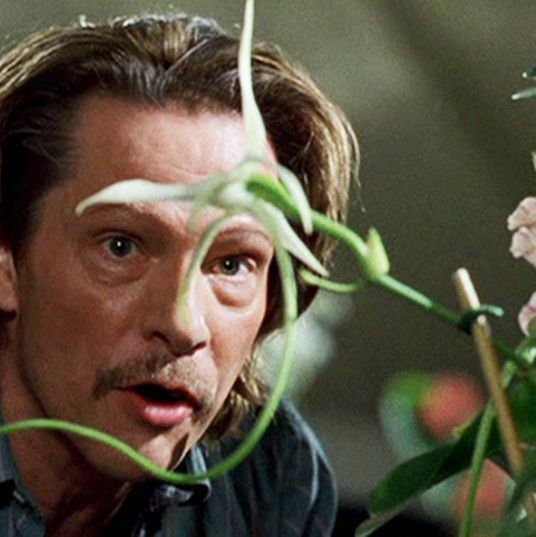 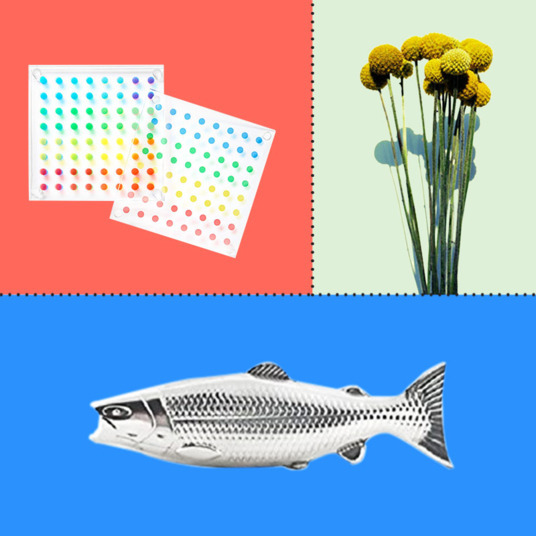 The white is nice and simple; the yellow is fun but gives off strong corn-on-the-cob vibes.